SINGAPORE, Feb. 15, 2017 /PRNewswire/ — Mundipharma and Helsinn Group have expanded their collaboration, signing amendments to licensing and distribution agreements for anti-emetic prophylactic agents ALOXI® and AKYNZEO® to cover a host of additional markets. Chemotherapy induced nausea and vomiting (CINV) is one of the most common side effects of cancer chemotherapy. The prevention of CINV has been refined in the major international antiemetic guidelines over the past several decades and the combination of antiemetic agents with different mechanisms of actions are now recommended for the prevention of CINV. ALOXI® (palonosetron) is a 5-HT3 receptor antagonist indicated as single agent for the prevention of CINV.1 AKYNZEO® is the first fixed combination oral agent targeting two critical signalling pathways associated with CINV by combining palonosetron with netupitant, the new highly selective NK1 receptor antagonist, in a single capsule2. Under the terms of the arrangement, Mundipharma has acquired all the rights for marketing, promotion, distribution and sales of ALOXI® and AKYNZEO® for an additional 30 countries in Africa as well as Iran, Pakistan and Indonesia. Additionally, Mundipharma has also secured the rights for AKYNZEO® for Argentina, Uruguay and Paraguay. The expanded partnership continues the strengthening of Mundipharma’s oncology portfolio and its anti-emetic treatment offering, building on exclusive licensing and distribution agreements for Helsinn’s anti-emetic franchise in Asia Pacific, Latin America, Middle East and Africa. Helsinn Group will retain all international development responsibility, as well as clinical development activities. The company will continue to manufacture and supply ALOXI® and AKYNZEO® for commercial use. ® : ALOXI, AKYNZEO are Registered Trademarks. ALOXI (palonosetron hydrochloride) is a second generation 5-HT3 Receptor Antagonist, developed for the prevention of chemotherapy-induced nausea and vomiting (CINV) in patients with cancer, with a long half-life of 40 hours. ALOXI has been developed by the Helsinn Group in Switzerland and today it is marketed as Aloxi®, Onicit® and Paloxi® in more than 50 countries worldwide. Prevention of acute and delayed nausea and vomiting associated with highly emetogenic cisplatin‑based cancer chemotherapy. Prevention of acute and delayed nausea and vomiting associated with moderately emetogenic cancer chemotherapy. Helsinn is a privately owned pharmaceutical group with an extensive portfolio of marketed cancer care products and a broad development pipeline. Since 1976, Helsinn has been improving the everyday lives of patients, guided by core family values of respect, integrity and quality. The Group works across pharmaceuticals, biotechnology, medical devices and nutritional supplements and has expertise in research, development, manufacture and the commercialization of therapeutic and supportive care products for cancer, pain and inflammation and gastroenterology. In 2016, Helsinn created the Helsinn Investment Fund to support early-stage investment opportunities in areas of unmet patient need. The company is headquartered in Lugano, Switzerland, with operating subsidiaries in Ireland and the US, a representative office in China as well as a product presence in about 90 countries globally. 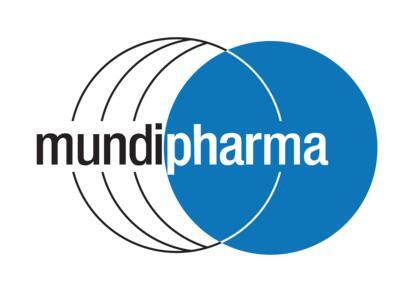 Mundipharma’s independent associated companies are privately owned entities covering the world’s pharmaceutical markets. Mundipharma is a prime example of a company that consistently delivers high quality products while standing by the values that represent the company. Our mission is to alleviate the suffering of patients and to substantially improve their quality of life. Mundipharma is dedicated to bringing to patients with severe and debilitating diseases the benefit of novel treatment options in fields such as pain, oncology, oncology supportive care, ophthalmology, respiratory disease and consumer healthcare.